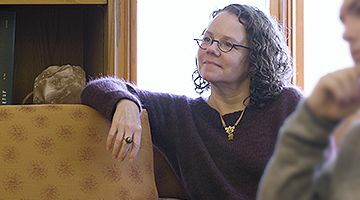 In an interview with Northwestern Now, Rebecca Johnson discusses the work of tracing cultural change through literary translation. 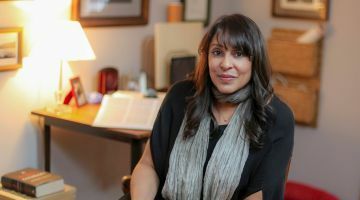 Natasha Trethewey is among the 11 new members elected in 2019 to join the American Academy of Arts and Letters, which was founded in 1898 as an honor society of the country’s leading architects, artists, composers, and writers. Early members included Childe Hassam, Julia Ward Howe, Henry James, Mark Twain, and Edith Wharton, and Natasha will be inducted along with Claudia Rankine, David Sedaris, and composer Chen Yi, among others. The Creative Writing Major is one of the first and finest undergraduate programs of its kind in the country. Its reputation is based on accomplishments of its graduates, the generosity of its professors, and a pedagogy that creates a fruitful symbiosis between close reading and inventive writing. Being an English literature major at Northwestern means reading literature that’s been circulating across more than 1000 years of history and nearly every the continent of the globe, and the skills you learn will help prepare you for virtually any career you can think of. This program offers intimate classes, the opportunity to pursue both creative and critical writing, and close mentorship by renowned faculty in poetry, fiction, and creative nonfiction. Our three-year curriculum gives students time to deepen both their creative writing and their study of literature. Students complete two degrees concurrently --an MFA in Creative Writing and an MA in English. Designed to be completed in one year and flexible in its requirements, our Master's in Literature allows students considerable freedom in choosing courses in English and in related disciplines. Most are planning to move on to Doctoral study elsewhere, improve their credentials as teachers in secondary schools and community colleges, or to take their experience into the business and publishing sectors. 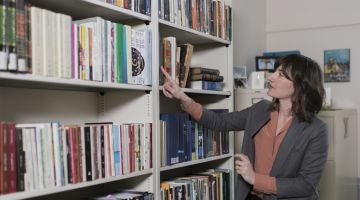 Our PhD program offers advanced study and research in literary history, criticism, and theory, with excellent opportunities for study between both disciplines and departments. Courses within the department cover major genres, periods, authors, and a broad range of methodological and theoretical approaches. Significant support in professional development and on the job market are cornerstones of the program. 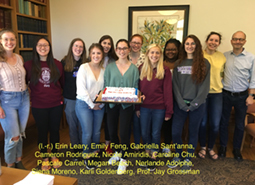 Students in Professor Jay Grossman’s Winter 2018 English 397 Research Seminar celebrated the launch of their new website with cake and a party. The website, hosted on Northwestern’s Arch site, makes each of these student’s research papers on 19th-century American poetry accessible to anyone who has computer access to the web. And such a wide potential readership is appropriate, since readers with a variety of interests will want to learn more about what these students have discovered.